Add an additional major or a minor to your bachelor’s degree and study another area that interests you. You can choose from a wide range of additional majors or minors. Many of these papers can also be taken as elective papers. Available as a minor only. Gain an introduction to accounting concepts and practice. You learn to prepare financial information and related material, and analyse this information for reporting for businesses and evaluating business performance. An additional major or minor in accounting also introduces you to computerised accounting packages, which assist in the preparation and analysis of financial and quantitative data. It is useful for business owners, managers, and other professionals to have a basic understanding of business law to help them make better decisions. Laws apply to people and to business. Businesses need these laws for the same reasons that people do: to define acceptable behaviour, provide certainty and stability, protect the public, and provide a mechanism for businesses to resolve disputes. 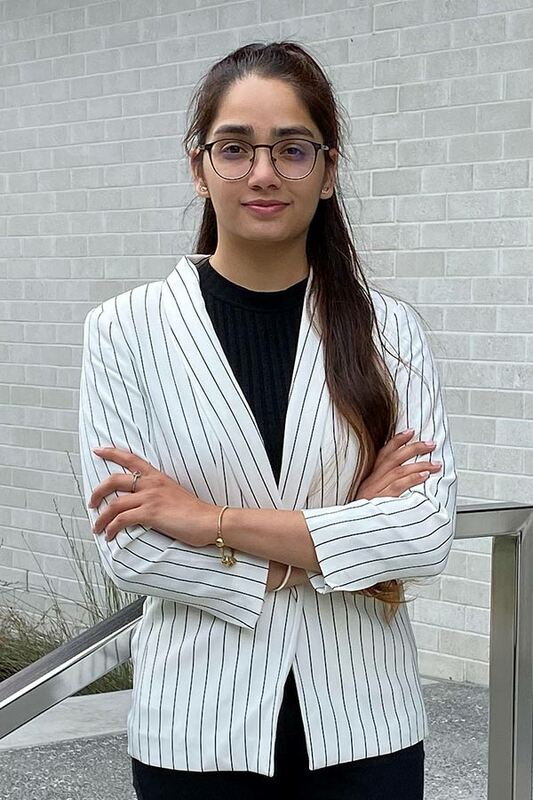 This minor introduces students to how laws are identified and classified in New Zealand. Discover the magic of filmmaking processes. Explore cinematic language and production techniques, then apply your new skills and understanding to create a masterpiece of your own. Papers are delivered over one semester and are worth 15 points each. You'll need to complete 60 points for the entire minor. In each year, you study and complete core compulsory papers alongside studio and specialist papers in the minor that you have selected. Discover business for creative concepts - covering economics, innovation, creative entrepreneurship, strategic thinking, branding and marketing. 60 points from the papers below, including a Level 7 paper or both compulsory core papers ARDN502 and ARDN702, in addition to 30 points from DESN600, DESN601, MARS501, ENTR501 of which at least one paper or 15 points must be at level 6. Data analytics is the process of deriving knowledge from the vast amount of information that companies, government agencies and other bodies have about their customers and the population in general. In this minor you develop an understanding of the methods, models and software used to draw conclusions from large data sets, and how to use those conclusions to aid businesses and organisations in decision-making and value creation. Students with these skill-sets are employable in a wide range of jobs and organisations including businesses, government and consultancy firms. Discover how art and design can contribute to a new future where both people and our planet will prosper. Explore ecological and social aspects of design for sustainability. Design thinking is a mindset and set of creative methods that can be used to interrogate, understand and solve real-life business, social and environmental problems. Working collaboratively with others, you'll learn to develop an understanding of the needs of the people you're designing for, experiment and explore creative ideas, and create physical and experiential design solutions. This minor is aimed at students who are interested in developing design thinking expertise to support their major discipline area. Use the latest advanced technologies including 3D printing, computer controlled CNC cutting, milling and routing, and laser cutting to produce three-dimensional work. You’ll gain an understanding of how digital fabrication can be a driver for your creative ideas, through to your final product. Enrolment in this minor is subject to approval from the Art & Design Minors, Head of Department. Deepen your understanding and knowledge of the processes for the resolution of conflict and disputes, and gain competencies in the management of disputes. Gain legal knowledge and skills on information gathering, critical thinking and problem solving. This minor addresses one of the current and future issues of work: creating inclusive organisations and work for diverse employees. It takes an interdisciplinary perspective of diversity, society and work to provide students with a platform to make a difference in workplaces, organisations and our communities. It covers core knowledge of diversity and its implications, plus practical application to work and employment. You can choose and plan papers that best match your interests and learning needs, including more international perspectives, or a focus on New Zealand/Aotearoa and indigenous perspectives on diversity and inclusion. Economics is the study of how societies, governments, businesses, households and individuals allocate their scarce resources. You can combine economics with majors in any field. Studying economics could also help you secure employment in business-related areas. By studying an additional major or minor in economics you’ll master the ‘economic way of thinking’, which is essential for analysing real-time decision-making related to global issues like sustainability of resources. 120 points from papers listed below including ECON502, ECON503, ECON601–602 with at least 45 points at level 7. Students must also pass BUSS504 or approved equivalent. Entrepreneurship and Innovation involves creating and developing new ideas into products, services, technologies and businesses. It’s a vital component in ensuring strong social and economic development. It plays a crucial role in creating jobs and expanding economies, and can also help address social problems and environmental issues like poverty and climate change. This major/minor is not available to students in the Bachelor of Science. Explore the language of surface pattern and fabrication, create innovative and experimental fabrics and surface designs. This minor supports the development of work across a range of disciplines and potential applications. Emphasis is placed upon the importance of learning through making and the relationship between the maker, the process of making and the work. Papers are delivered over one semester and are worth 15 points each. You'll need to complete 60 points for the entire minor. In each year, you'll study and complete core compulsory papers alongside studio and specialist papers in the minor that you have selected. Finance is the art of managing money, including personal budgeting, saving and investing, and corporate fund raising. A minor in finance sets you on the path to financial success, enabling you to make sound financial decisions both personally and professionally. You'll learn about personally investing in financial assets like shares, bonds and pension funds. You also practise financial decision-making skills valuable in managing businesses of all sizes. Finance perfectly complements your degree, no matter what your future plans are. Gain and apply practical game design knowledge to playful experiences of digital media, wearables, physical spaces, objects, social networks, performances, boardgames, video games and more. Interested in health and wellbeing? Studying how we learn and applying it to a health and wellbeing context will provide you with skills to transfer knowledge and help others understand the importance of maintaining a healthy, active lifestyle. If you’re considering school teaching, the Health and Physical Education minor could prepare you for teaching junior health and physical education classes in New Zealand schools. This minor is not available to students in the Bachelor of Sport and Recreation in Coaching or Health and Physical Education. This major/minor is not available to students in the Bachelor of International Hospitality Management. This additional major or minor is for students who want to understand people and relationships at work. You’ll learn how to support employees to enhance organisational performance, and how to manage the dynamics of competing interests in the workplace. You can choose papers that will give you an insight into the future of work in terms of the changing nature of jobs, organisations and labour markets. You can also learn about diversity, global mobility, employment relationships and occupational health, safety and conflict management. Study an additional major or minor in information systems and learn how to increase efficiency by improving business processes, sharing information and making effective decisions supported by information technology. The transdisciplinary nature of information systems makes it the perfect match for any other business discipline or other degree you’re studying at AUT. 120 points from papers listed below including MGMT501, INTB603, INTB604, INTB605, INTB706 and INTB707, with at least 45 points at level 7. This minor prepares students for work within an international business context, and offers the opportunity to develop or enhance a foreign language, or develop a native language for a business in English context. The minor also offers a flexible introduction to a chosen language, enabling students to pursue a career or work opportunity in another language, or for non-business / languages students to add both a grounding in international business (and possibly a language) to their programme. 120 points from papers listed below including CLSY502, SOSC681, SOSC782 with at least 45 points at Level 6, at least 45 points at Level 7 and a language paper. This minor provides an opportunity for students to focus on their own personal development and how they can lead others. Some papers have a personal focus such as financial management, nutritional management, cultural competence and developing design thinking skills. Other papers support your development as a leader interacting with others through a focus on leadership, negotiation and mediation skills, and the development of an understanding of diversity at work and the role of human rights in business. You can choose papers that will best advance you as a person and as a leader. Our world needs managers who understand that complex problems will be solved by teams from various disciplines. Management sits at the forefront of being able to co-ordinate, align and drive such multidisciplinary efforts. In this additional major or minor you’ll learn about people, operational and strategic issues requiring managerial action in organisations. You also learn about leadership for driving change and how organisations are changing in terms of how work is arranged and performed. Curious about how the marketplace operates and why consumers respond as they do? Study marketing, advertising, retailing and sales as an additional major or minor to enhance your degree. New media channels are emerging, rivalling traditional ways of going to market. Businesses now offer customers integrated, personalised shopping experiences that extend from the shop floor to online shopping. Businesses need staff who can communicate with customers to make more informed marketing decisions for the organisation. This major or minor equips you with these skills. 120 points from papers listed below including MARS501, MARS601, MARS 602, MARS 604, MARS 703, MARS707 and MARS708. Note: A student may complete MARS713, MARS717 and/or MARS718 as an alternative to MARS703, MARS707 and MARS708, respectively, with approval of the programme leader. Explore a series of MoCap applications in state-of-the-art facilities, including performance capture for pre-visusualisation, 3D animation, visual effects, gaming, virtual reality and experimental practice. Become an expert in a variety of approaches to motion capture with a range of production and post-production tools and techniques. This minor provides students with an opportunity to understand the principles of risk assessment and occupational health, safety and wellbeing systems, practices and programmes for improving culture, morale and performance in organisations. It enables you to explore relevant “soft skills” like leadership, negotiation, conflict management and communication. Workplace health, safety and wellbeing is both universally relevant and a key priority for every organisation. Robust health and safety practice in the workplace is now not only a legal requirement under the Health and Safety at Work Act 2015, it’s also fundamental to operating a good business. The great outdoors is an institution in New Zealand as a place to learn and grow. Throughout the ages, it has been used to educate people on the issues faced by the society of that era. Today’s issues of sustainability, health and wellbeing are at the heart of outdoor education initiatives. This minor introduces students to key outdoor concepts, and engages them with the outdoors as a health and developmental medium. This minor is not available to students in the Bachelor of Sport and Recreation majoring in Outdoor Education. Explore fundamentals of digital camera technologies, lighting, post-production and editing, along with implications of photographic representation and communication. This minor aims to equip students with the knowledge and skills to successfully operate and manage small and medium sized businesses. It provides students with an understanding of various aspects of accounting, finance, marketing, management, law and taxation issues relating to small and medium enterprises (SMEs). It’s well recognised that participation in sport and exercise is important for health and wellbeing as well as sports performance. Anyone working in sport or healthcare will benefit from an improved understanding of how sport and exercise impact on human function. This minor introduces students to key concepts in exercise prescription, exercise physiology and sports biomechanics. This minor is not available to students in the Bachelor of Sport and Recreation completing an Exercise Science and Nutrition or Sport and Exercise Science major. Coaching is an exciting career and can involve working with athletes across a broad range of skill levels, from beginners to high-performance elite athletes. Modern coaching goes beyond the traditional focus on technique; it emphasizes an athlete-centred perspective, with coaches required to understand dynamic individual environment and task challenges. The Sport Coaching minor provides students with the skills to be successful in sports and the sport organisations. This minor is not available to students in the Bachelor of Sport and Recreation completing a Coaching or Health and Physical Education major. Much of what we hear about in the sport sector relates to leadership and management matters. As a result, sport organisations are increasingly seeking employees with expertise across sport leadership, marketing, events and governance. A minor in sport management provides a foundation for anyone with aspirations to work in New Zealand’s vibrant sport sector. This minor is not available to students in the Bachelor of Sport and Recreation completing a Management major. This minor provides an overview of the sports industry from an interdisciplinary perspective. It gives you an overall understanding of the theoretical and practical aspects of marketing management in the sports industry, especially how sports marketing activities and strategies contribute to sports business success. You'll be introduced to the business of sports from a strategic marketing perspective and will develop the skills and knowledgebase for careers in the sports and marketing industries. You'll gain skills in research, segmentation, product and fan development, pricing, licensing, and in communication channels such as advertising, sales promotion, public relations and publicity. Almost all products/services that serve the consumer require the efforts of multiple organisations. Collectively, these organisations make up the supply chain. Supply chain management (SCM) is the management of supply chain activities and relationships to maximise customer value and achieve a sustainable competitive advantage. Supply chain activities cover everything from product/service development, sourcing and production to logistics, as well as the information systems needed to co-ordinate these activities. There is a demand for SCM graduates due to its growing importance to New Zealand’s export-oriented economy. The growth of e-commerce has also fuelled the demand for SCM graduates worldwide as e-commerce businesses depend on logistics and SCM to fulfil customer orders. 60 points from papers listed below including BSYS604, BSYS605 and BSYS704. Sustainable enterprise is about business of the future. Sustainability triggers innovation and creativity, new forms of entrepreneurship and participative people management. In focusing on the role of business and organisations to support both social and environmental sustainability, this minor gives you the skills to work successfully in, as well as question, the current socio-economic system. You learn to strategise as sustainability involves long-term planning. You learn to engage and negotiate with a wide range of stakeholders, including community, retailers, suppliers, consumers and NGOs. You learn to take a stand and get others on board. Sustainable enterprise informs consumer choices, provides community services, drives environmental projects, and transforms organisational strategies and practices. 60 points from papers listed below with at least 15 points from level 7. Available as a minor only. 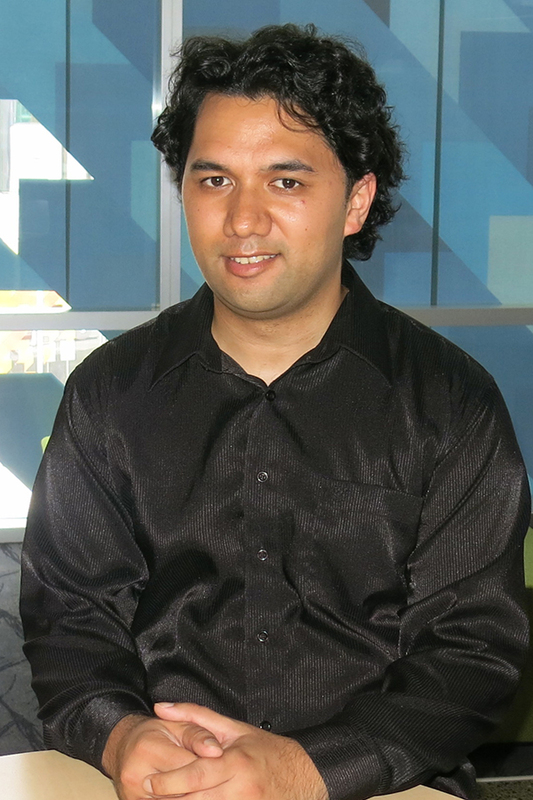 This minor is not available to students in the Bachelor of Māori Development. Create multidisciplinary projects that explore social and public contexts to produce temporary events and durational artworks. Be part of a group of artists and designers working together (or independently) to make site-specific works, pop-up events, residencies, installations, interventions, ephemera and publications. Papers are delivered over one semester and are worth 15 points each. You will need to complete 60 points for the entire minor. In each year, you will study and complete core compulsory papers alongside studio and specialist papers in the minor that you have selected. TRIN604 Societal Contexts for Interpreting and Translation. Discover how cities touch and influence nearly everything in contemporary life. Explore and create art and design responses to city situations, including interpreting and understanding urban experience to better intervene into and transform it. Great graduatesShannon SoudomCorporate Institutional Banking Intern, Westpac Institutional Bank, New YorkBachelor of ScienceHer internship at Westpac Institutional Bank in New York is a great opportunity to gain experience in an international market, says Shannon Soudom.Her internship at Westpac Institutional Bank in New York is a great opportunity to gain experience in an international market and experience a different culture, says Shannon Soudom. 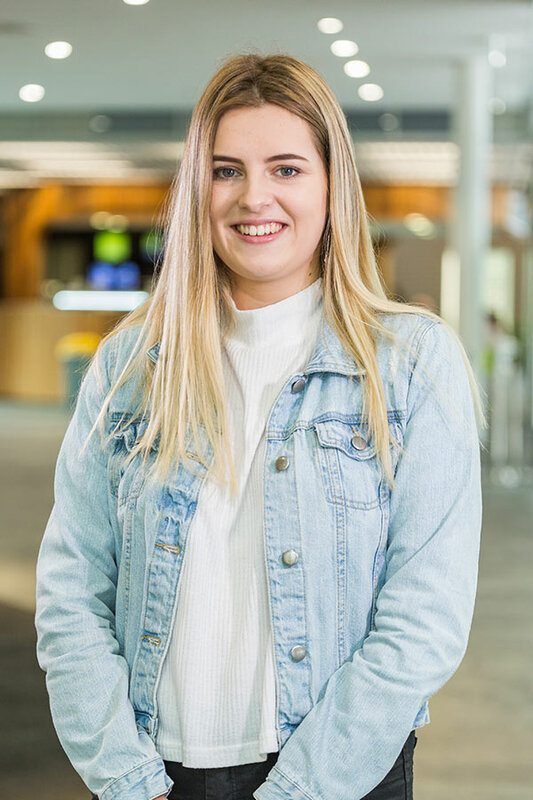 She discovered her passion for finance in her first year at AUT, says Shannon who studied a Bachelor of Science in Analytics with an additional major in Finance. Bachelor of ArtsThe Bachelor of Arts in Creative Writing has opened up a whole new world for him, says Isaac Waetford who dreams of writing a science fiction novel one day.The Bachelor of Arts in Creative Writing has opened up a whole new world for him, says Isaac Waetford. Pick a second major that can inform your writing, Isaac advises other students. He chose to study astronomy because he wanted a balance of humanities and science subjects, and would eventually like to write a science fiction novel. Great graduatesApril KerslakeBachelor of Health ScienceShe has always been fascinated by psychology and brain science, says April Kerslake who is currently completing a Bachelor of Health Science in Psychology.She has always been fascinated by psychology and brain science, says April Kerslake who is currently completing a Bachelor of Health Science in Psychology. 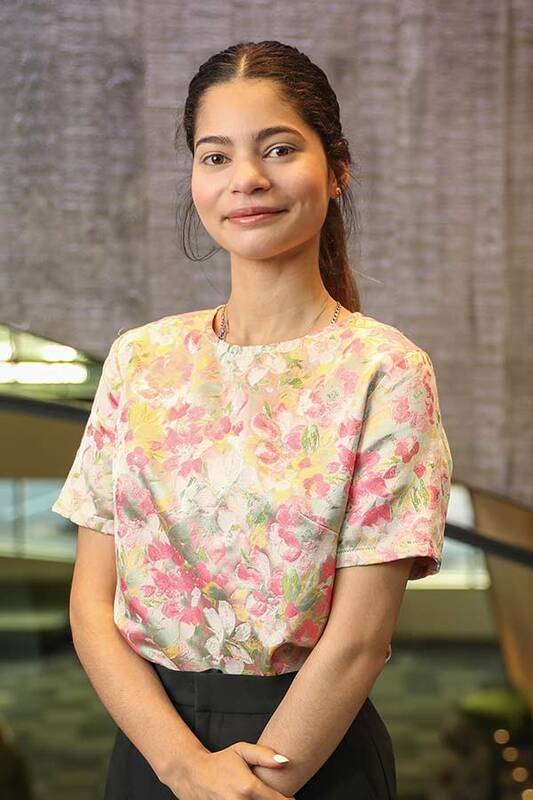 She enjoys being able to learn te reo Māori as part of her degree, and appreciates learning in an environment that emphasizes diversity and open-mindedness, she says.